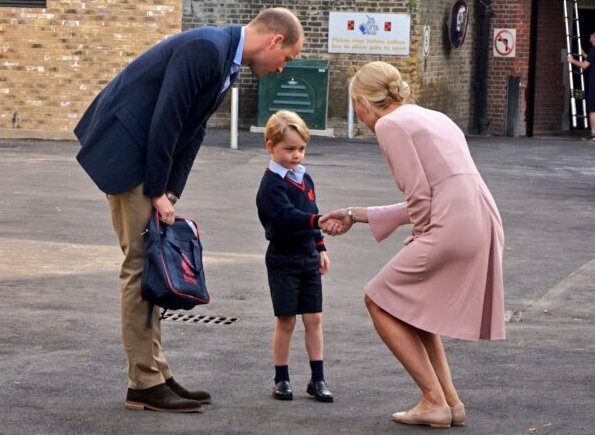 On September 7, 2017, Prince George of Cambridge arrives for his first day of school with his father Prince William, Duke of Cambridge at Thomas's Battersea in London, England. 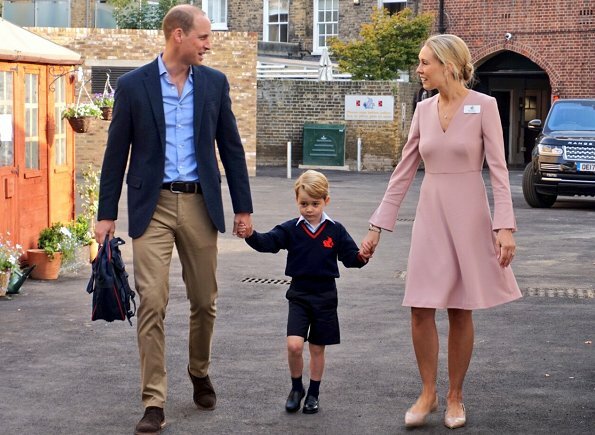 Prince George and Prince William were met by the Head of Lower School at Thomas's Battersea before heading inside to his classroom. Lovely. Such a shame the Duchess is too ill to join them. I know she must be so disappointed. Sweet little boy. 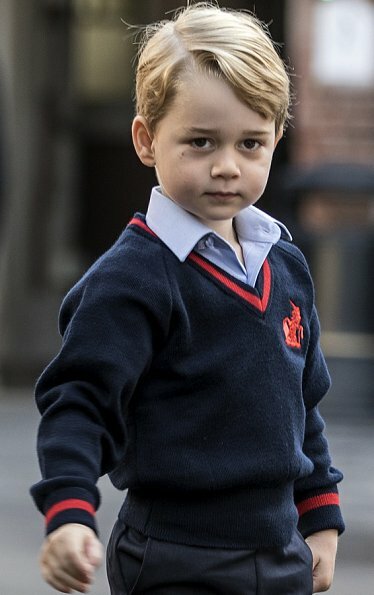 He looks quite nervous but very smart in his uniform. He has such beautiful hair. I hope that Catherine feels better soon. Just a question: Are his bodyguards inside or outside the classroom? And what a boring job that must be. Through no fault of his own, this child will never have a *normal* life. When do they start school in England? He is not very old is He? The September of the academic year that you have your fifth birthday. Legally, you don't have to be at school full-time until you are actually five. Does he always has to wear shorts? Poor kid. Most school children in the UK do, this is part of the school uniform. Ok. But I think I have never seen him in long trousers.